It's a remarkable drive, even before reaching your destination. Rich green layers and lofty ridges flank the open road, as red-tail hawks spiral silently on high thermals of air. 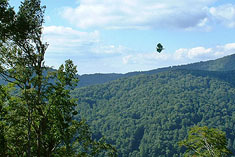 Just off the interstate, civilization drops away between tall peaks and quaint farmsteads cut into the lush woodlands. There, a winding mountain road carries you through the hushed, sunlit forest to the Perfect Mountain Escape. Welcome to Scenic Wolf Resort at Wolf Ridge, an exquisite mountaintop village perched 4300 feet atop the panoramic peaks of Western North Carolina. Fabulous wintertime skiing, luxurious summertime living, and year-round spectacular evening sunsets are just part of the getaway experience at Scenic Wolf Resort. Once you reach Scenic Wolf Resort at Wolf Ridge, you can enjoy an entire vacation without stepping foot off the mountain, or experience any number of adventures within a short drive. Either way, your stay includes nearly everything a heart could desire for the perfect escape, every season of the year. Stay in one of our rustic ridgeline cabins and enjoy long, languid days and luxurious soaks in the hot tub, with magnificent long-range views from wrap-around decks. 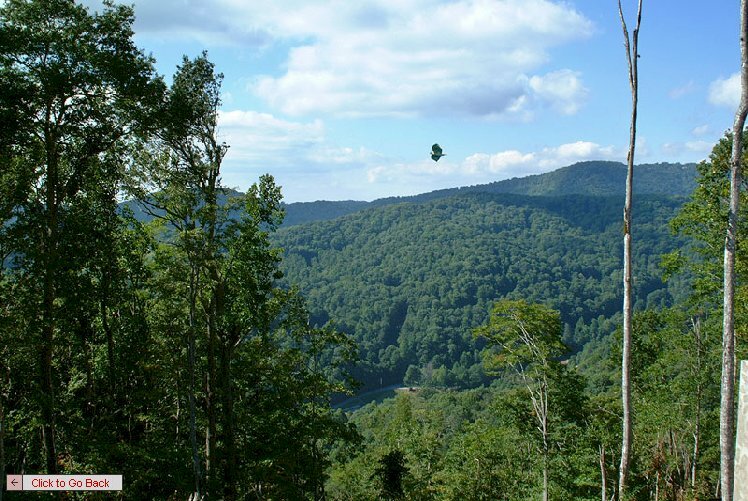 Scenic Wolf's mountain trails wooded slopes and a host of amenities await your call. Wintertime guests are near Wolf Ridge Slopes, where 65 acres of mountain slopes challenge every level of skiing & snowboarding ability. Spring and summer days can be spent with whitewater rafting, horseback riding and fishing. Local golf courses are nearby. Spectacular views become even more splendid during fall leaf season from our lofty ridge tops. No matter the time of year, every day at Scenic Wolf Resort is pristine when your appetite has been sharpened by a day in the mountain air. And every night is perfect when an unforgettable sunset can be seen from your cabin deck.